(e) the manner in which the general public and patients will be benefited by this ranking? (a): Total number of district hospitals in the country, State and district wise is given at Annexure. (b): Ministry of Health and Family Welfare along with the NITI Aayog, has not started the ranking of District Hospitals. (c): A conceptual framework has been developed by NITI Aayog in consultation with the Ministry of Health and Family Welfare to track performance of District Hospitals. The link of the framework indicating the criteria, parameters, indicators etc. is available on the link at http://niti.gov.in /content/tracking-performance- district-hospitals-health-our-hospitals. (d): The process for ranking of the District Hospitals is to be done on an annual basis. 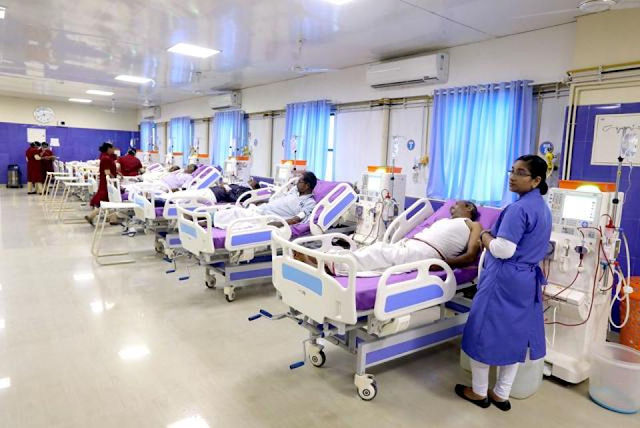 (e): The ranking exercise will create a healthy competition and nudge the state Governments and District Hospital authorities to improve the services for patients and general public. Note:- Source: Rural Health Statistics 2017-18.